My job is to oversee the deployment of the Intel Unite® solution throughout Intel’s global facilities—a total of at least 3,500 conference rooms—by mid-2017. I can tell you that those of us in IT, as well as our internal customers, are excited because this wireless solution will make our jobs much easier. Simply put, it enhances collaboration by eliminating the need for presenter cables and dongles. Imagine a conference room table with a dozen local participants and multiple remote attendees from different locations—all of whom can share content from their client devices (Ultrabook™ devices, laptops, 2-in-1 devices, and even tablets and Macs*) without needing to physically connect to a monitor or projector. No cables cluttering the tabletop, no playing musical chairs as presenters switch control. It sounds too good to be true—but I assure you, it is good, and it is true. Is this worth doing, and do employees like it? We provide a web portal where customers can give specific functional/capability feedback, to which Intel IT and the product development group listen carefully. During our pilot projects the top two functionality requests were auto-disconnect and extended display (enabling presenters to use the conference room monitor as a second display, in addition to their client device’s screen). The Intel Unite® software now includes those capabilities, and we are getting positive comments from users. How do you make your wireless infrastructure ready for the Intel Unite solution? 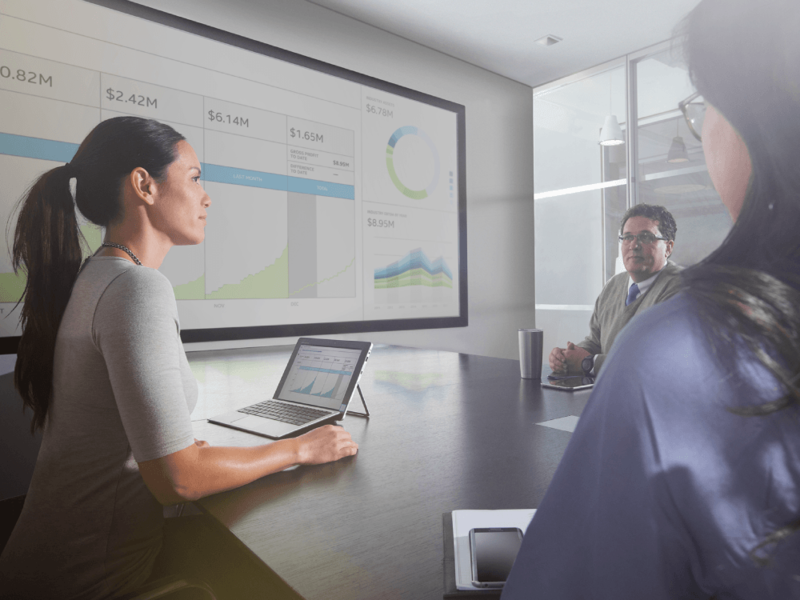 When employees enter a conference room equipped with Intel Unite technology, we want to make sure the solution is always ready. A six-digit PIN is displayed on the room’s screen. Employees use this PIN to connect to the meeting, so if it is not available, the meeting will stall. To help ensure high availability, the Intel Unite solution obtains the PIN from enterprise PIN servers through requests routed through a network load balancer. We use a clustered virtual machine (VM) approach for the enterprise PIN servers, which will enable us to add more VMs, if necessary, as we expand deployment of the Intel Unite solution. We segment these VMs so that the physical servers behind them are located in separate geographical regions, which mitigates risk: if something should happen to one of the physical servers or one of the VMs goes down, the other VMs are still available. The enterprise PIN servers obtain the PINs from a high-performance, high-availability database cluster. With this redundant, high-availability approach, PINs are always available. Smaller enterprises may not need so many VMs or could use a single database server. These VMs and servers could be hosted locally or in the cloud—the exact solution architecture depends on a specific organization’s needs and on how important constant availability is. How secure is the shared content? I’m sure that security is as much top-of-mind with many companies as it is for Intel. The Intel Unite solution—and our deployment of it—has been designed to help ensure security in several ways. First, all data traveling from the client device to the display is encrypted. During display, the buffers are encrypted. And when a presenter is finished sharing, the buffer is flushed so there is no residual data. In addition, the PIN for meeting connection changes every five minutes. Of course, this is a high-level description of the security features of Intel Unite solution. I’d be happy to direct questions to the right person at Intel to get answers to specific, more detailed questions—just leave a comment below! How do you wire up the Intel Unite® standalone clients? The Intel Unite standalone client is a Mini PC. So, of course it’s possible for the Mini PC to connect to the corporate Wi-Fi* network using a wireless adapter. However, that means that the Mini PC itself is competing for Wi-Fi bandwidth the same as all the meeting participants in the room. Therefore, to minimize potential interruption of service, we choose to hardwire the Mini PCs to the network using Ethernet cables. 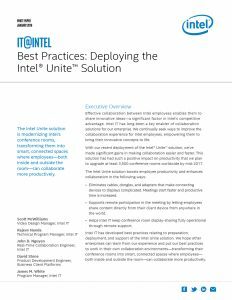 Recently, Carlos Dominguez says in a Cisco Blogs blog post that among other things, “effective collaboration requires … the deployment and use of technology.” Intel IT agrees, and our deployment of the Intel Unite solution is just the latest project in our long history of seeking ways to enhance collaboration at Intel. 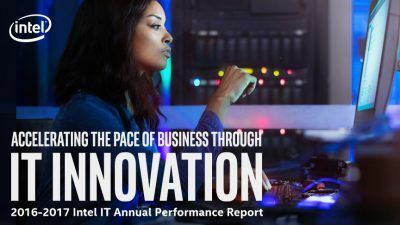 The Intel Unite solution is only one way Intel IT is driving the digital transformation at Intel – read our recently published 2016-2017 Intel IT Annual Performance Report, “Accelerating the Pace of Business through IT Innovation”, for the full story. As the Director of Real-Time Collaboration at Intel, James’s goal is to make it easy for people to meet at Intel. This includes global conference room audiovisual technology, voice and telephony services, unified communications, and videoconferencing. James has over 25 years of technology industry experience in software, e-commerce, digital marketing, and information technology.